Based on compliance with the International Reporting codes belonging to the CRIRSCO group of codes; including PERC, JORC, NI 43-101 and SAMREC. TO REGISTER, please provide your details on www.stonechange2016.com (see Registration). Fore more info please contact secretariat@stonechange2016.com (object: PERC COURSE), being IMM Carrara the logistic organizer of both Events, the PERC Training Course and the Conference STONECHANGE 2016, and/or directly to PERC (see addresses above). Early registration is advised as there is a limited number of spaces. Your registration will be confirmed by email. Personal information will be used for internal purposes only. Note: Cancellations: No refunds or cancellations will be made within one week of the course or for ‘no shows’. Delegates can be substituted. If the minimum number is not achieved, course delegates will be notified one week prior to course start date and fees will be refunded. Since the late 1980s, public reporting of Exploration Results, Mineral Resources and Mineral Reserves has been governed by a variety of different reporting codes, including: the PERC Code (Europe), JORC Code (Australasia); NI 43 101 legislation and CIM Definition Standards and best practice guidelines (Canada), SAMREC (South Africa), SEC Industry Guide 7 (US) and other codes. Since 1994, under the auspices of CRIRSCO (Committee for Mineral Reserves International Reporting Standards) there has been considerable cooperation between the main bodies involved in the development of the different codes and a move towards standardisation of the definitions of key terms. This course provides an introduction to the principles underlying the reporting codes based on the CRIRSCO International Template, with specific reference to the PERC Reporting Standard. The course focuses on the assessment criteria which are included in Table 1 of the PERC Standard; discussion of these items is used as the basis for illustrating expected best practice procedures and providing an opportunity for course participants to exchange experiences on particular issues of concern. Edmund Sides, Ph.D., P.Geo., EurGeol., is a Technical Director with AMEC, based in the UK. Ed has over 30 years of experience in mineral exploration and resource geology related to many different types of commodity. He specializes in the incorporation of geological controls into mineral resource estimates, and the management of the transition of geological and resource estimation studies from advanced exploration to feasibility stage. Edmund Sides, Ph.D., P.Geo., EurGeol., is a Technical Director with AMEC, based in the UK. Ed has over 30 years of experience in mineral exploration and resource geology related to many different types of commodity. He specializes in the incorporation of geological controls into mineral resource estimates, and the management of the transition of geological and resource estimation studies from advanced exploration to feasibility stage. “Marmoteca” Conference Room – Internazionale Marmi Macchine Carrara S.p.A – Stone Center / Marmotech Fair Venue area. This one-day course costs €250 (Euros). For Members of Italian CNG, APC credits (8 hours) will be attributed for PERC Course, based on existing Italian legislation. Fees will include: shuttle bus from and to airport, and Event Hotels (fixed timing), Course manual, refreshments and lunch. TO REGISTER, please provide your details on www.stonechange2016.com (see Registration). 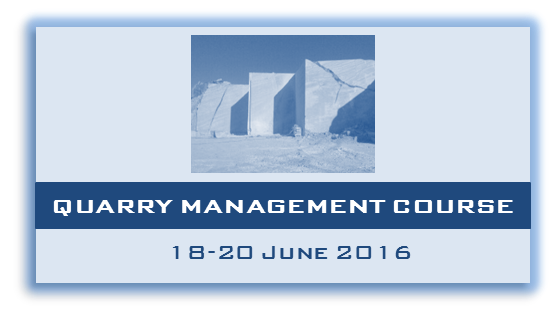 Fore more info please contact secretariat@stonechange2016.com (object: PERC COURSE), being IMM Carrara the logistic organizer of both Events, the PERC Training Course and the Conference STONECHANGE 2016, and/or directly to PERC (see addresses above).